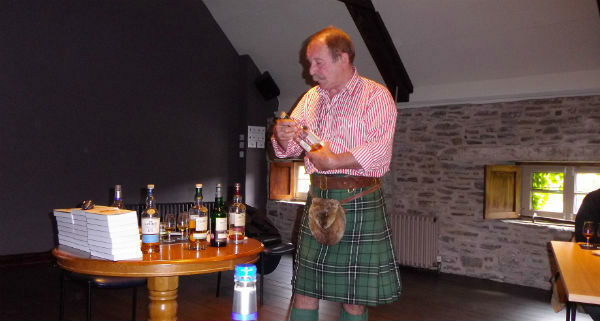 Just for a change, blending a dram with music. I was bored one night … From the classic Mortlach, Glendronach, Glenmorangie brigade, try this out; Break on through to the other side – Jameson Stout finish, a beautiful wee number, velvety, smooth, doesnee bite you all the way doon the toes, with underlying notes of stout (Murphys), chocolate noises in there also. You just cannee beat it for a sit back and enjoy dram. Aye, we’ve broken through! Many thanks Jim and the Doors. Tamdhu Batch Strength matured exclusively in sherry casks and boasting a weighty ABV of 58.3%. What did I get? Black Forest gateau, vanilla, marmalade, chocolate cake, un-chillfiltered. Each batch varies slightly in style and intensity, its deep colour and exquisite quality is a winner with me. A grand dram with a bit of fire, like a bolt of lightning. Drammed in company of the Doors, (come on baby) Light my fire. Poison – an American metal band that achieved great commercial success in the mid-1980s to the mid-1990s, sold over 30 million records. The band’s second album, Open Up and Say… Ahh!, which became the band’s most successful album, Tamnavulin Double Cask was the first release from the distillery since the 1990s! Now they’ve got their very own expression! American oak before a finishing period in Sherry casks. The easiest of the drams tonight to linger with and open my mush and say ahhh. I can’t help singing one of my favourites to this dram; What’s right? What’s wrong? What’s left? What the hell is going on? Unskinny bop. Just blows me away, yeah, Unskinny bop, bop, All night and day, yeah, Unskinny bop, bop, bop, bop. With a Little Help From My Friends This Lennon & McCartney song became a signature for Joe Cocker after he performed it at Woodstock in 1969. It’s grand to try and warble similar to Joe, you just can’t! But we try, so – with some help I go dramming log into The Friend at Hand. Irish Whiskey Shop. Hill Street Belfast. One of their drams, exclusive; SEVEN DEADLY SINS, 13 Years SINGLE MALT Everyone makes mistakes. Some more so than others, some with certain whiskies I won’t name. If you haven’t made any, then you haven’t lived and that’s the real sin. 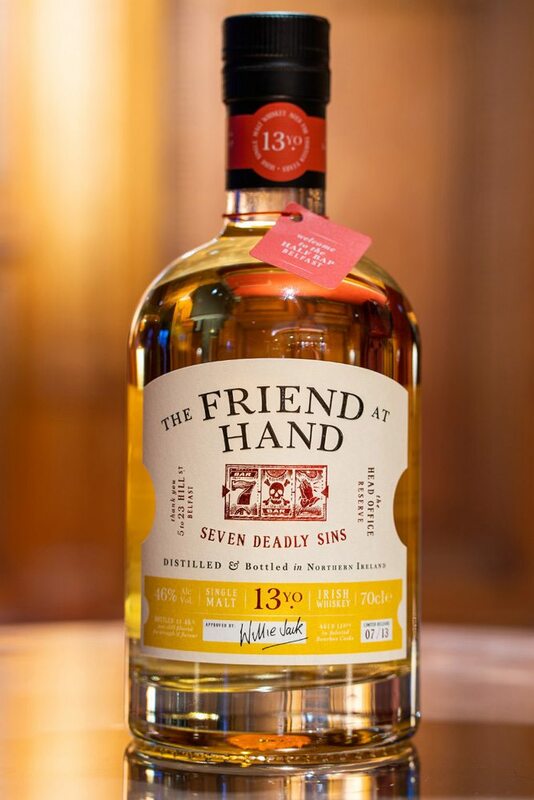 Only Available To Buy In The Friend At Hand. That’s all for tonight though I could go on, looking forward to my next delve into my music background for whisky friends, hell – it’s better than pairing with food!